We're always looking for ways to save you more time, so we're excited to introduce fully automated invoice collection. Accountants and bookkeepers can now connect their client’s Receipt Bank accounts directly with their clients’ suppliers instead of regularly having to login and download invoices. It's available for every user, and it's called Invoice Fetch. Find out more below. 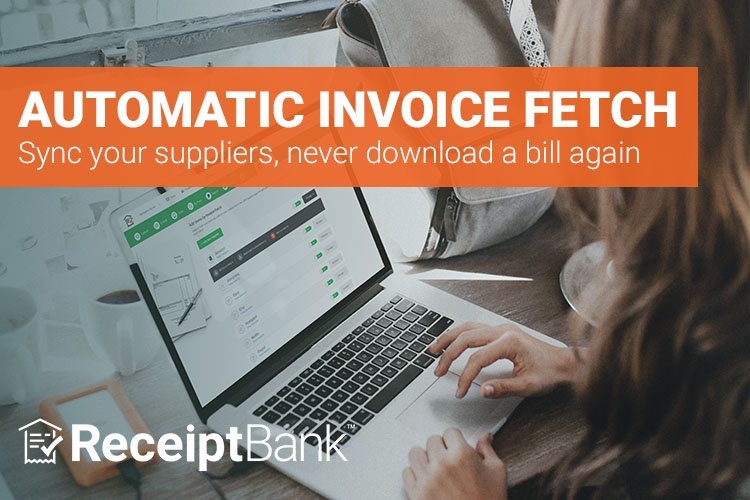 Invoice Fetch automatically collects your clients’ digital invoices from any supplier that bills via an online portal. Whether it's an e-commerce receipt, an energy bill or a mobile invoice, Invoice Fetch will collect and process these documents, so you don't have to. There's no time wasted logging in to your clients' accounts to look for digital bills, and no chasing clients to send you their information on time. “As the amount of transactions that take place exclusively online increases, it’s a huge opportunity to integrate systems and save time”,” explains Receipt Bank CEO Alexis Prenn. With Invoice Fetch, your clients' data appears, effortlessly, every month. How does Invoice Fetch work? 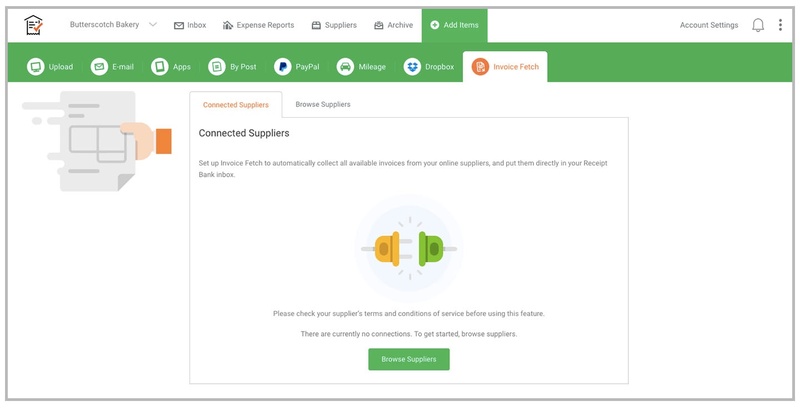 You can link your clients suppliers with their Receipt Bank account in seconds. And it's all done within Receipt Bank's web interface, to make it even simpler. 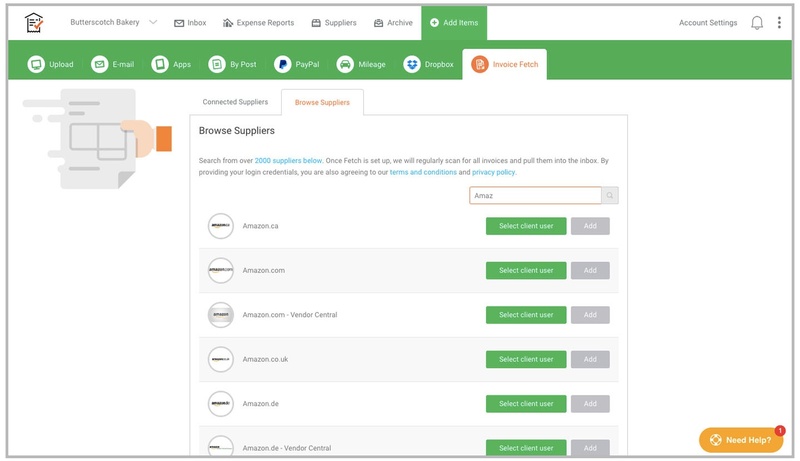 You can search over 2000 suppliers from your client's Receipt Bank account. Once you enter their account details Receipt Bank will check for new documents in the background. Just set, and forget. You can find a full list of available suppliers here. Invoice Fetch is another development designed to help our accountants and bookkeepers build a seamless client experience and reduce admin time. This is the very beginning for Invoice Fetch, so look out for all the new updates coming your way.